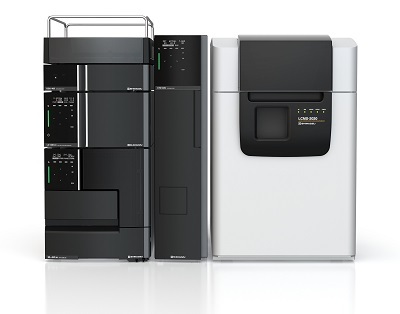 The LCMS-2020 single quadrupole ultra-fast LC/MS innovatively offers mass spectrometry as a LC detector that overcomes the limitations of LC analysis and also the need for ultra high speed analysis. By incorporating advanced features such as UFswitching, UFscanning and UFsensitivity , the LCMS-2020 continues the tradition of high-level data reliability through the well acclaimed ultra high-speedNexera UHPLC. By incorporating the following innovative features into the LCMS-2020, sharp peaks of ultra high-speed LC are always processed with high precision and accuracy. The LCMS-2020 offers UFswitching for rapid switching between the positive and negative ionization modes and UFscanning for ultra-fast scan measurements to capture the sharpest UFLC peaks. 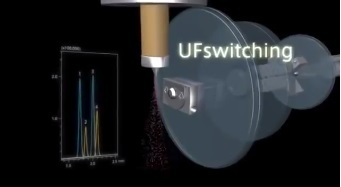 UFswitching technology (patent pending) of LCMS – 2020 enables switching between positive and negative ion modes in 15 milliseconds so even the fastest LC peaks can be analyzed in both modes, thus increasing productivity. By adopting new technology (patent pending), a scanning speed of 15,000 u/sec is achieved by LCMS- 2020 without sacrificing sensitivity or resolution, even during high-speed scans. Innovative ion optics with the newly developed Qarray® ion optical system provide superior sensitivity, repeatability, and linearity, achieving 50% to 300% greater sensitivity than any other single quadrupole analyzer for substances most commonly measured. LCMS-2020 offers APCI and DUIS in addition to ESI. Diverse ionization methods support a wide range of applications . The ESI method typically used for LCMS can be replaced with APCI, which is suitable for less polar compounds, or with a dual ionization source (DUIS) for simultaneous operation of both ionization modes, quickly and without tools.